BEWARE! 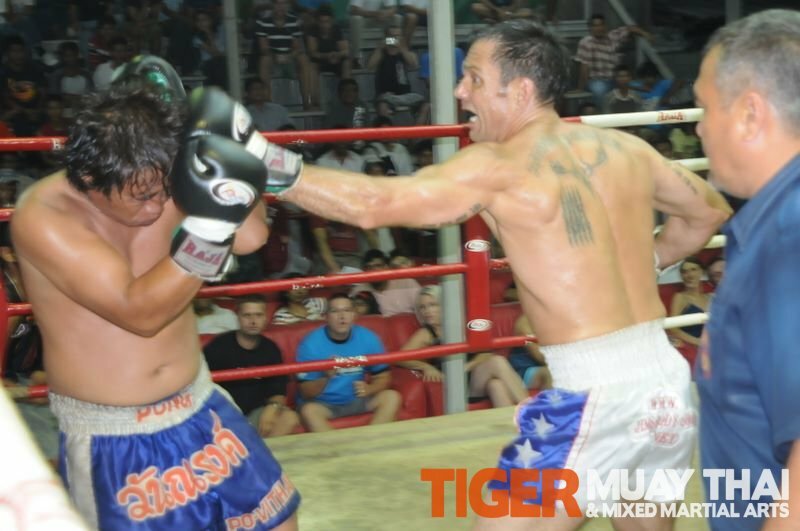 Tiger Muay Thai has ruined my life! 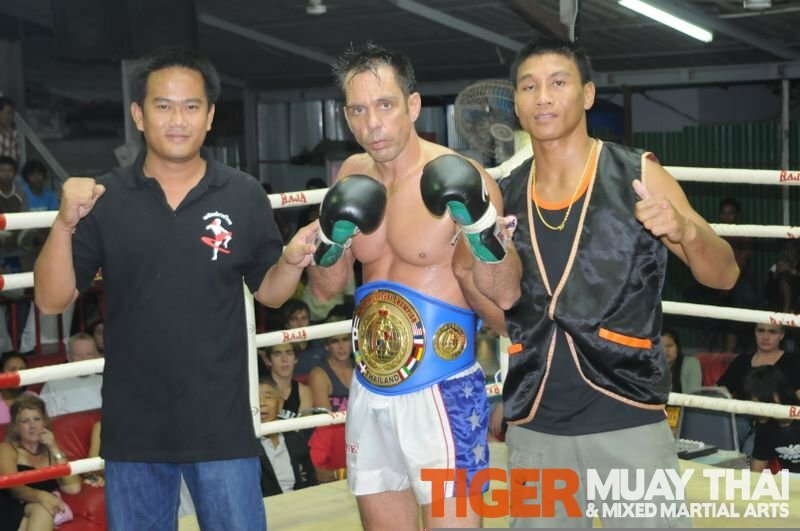 This post is here for the people that are trying to decide where to train in Phuket. I didn’t know anything about the training in Thailand so i checked out a couple of places, like Rawai and Phuket Muay Thai. But Tiger seemed the most organized and most diverse. I’m 43 and had a love of BJJ and Muay Thai just hadn’t practiced it in 7 or 8 years all I did was work at building up my business. 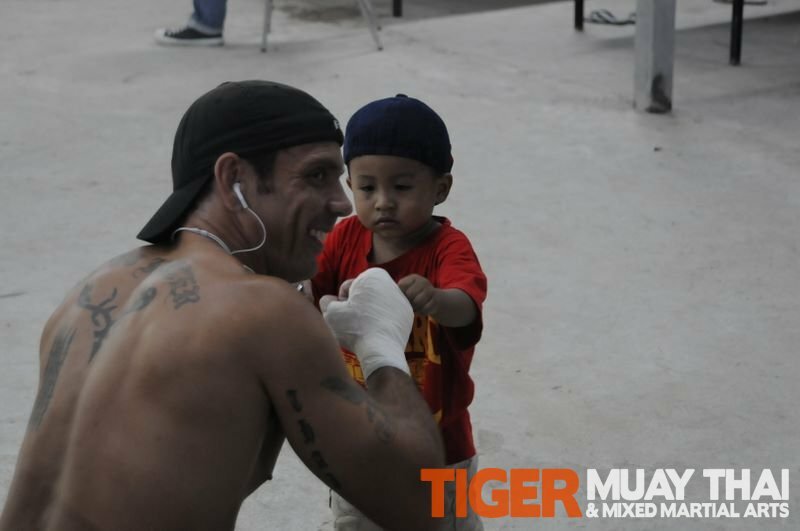 When my brother who was not much older than me died It really woke me up to the fact that i had no life outside work and coming to Thailand to train was something i always wanted to do so i sold my business and took off. I’m really a no talent non naturally athletic guy If I improve at anything its because I grind it out day after day. The last 6 months I’ve been training with some of the best Thai fighters in the world. Two lightweight world boxing champions and UFC Fighters and BJJ black belt world champion. My point is I’m just an average no talent guy that went to work everyday now i get up in the morning and run and train with Robert the Terminator a Thai champion and European K-1 fighter, before my last fight i worked on my boxing with a western boxing world champion at the camp. When Allen Belcher (UFC Veteran) was here training for his fight with Ed Herman he would come to the ring where Robert was training me for a fight and do whatever he could to help me. Mostly clinching at the end of each round on the pads. Allen just hung out between rounds and jumped in at the finish to clinch with me what a cool guy. What is crazy about my fights is I have world champions warming me up, and in my corner, in the states I’d have to wait in line to get an autograph from someone like Beurnung and at Tiger he’s cornering for me and helping me every step of the way. I’ve trained with John Fitch and Brodie Farber. we hung out sometimes when we weren’t training. Brodie helped me get ready for my last fight and was going to come corner for me but got really sick and was down for a few days. (good luck on the 10th bro) I won the 70 kilo Bangla Stadium belt that night and its in my room now. The next day i rolled with BJJ world champion Tony Eduardo, what a class act and a great guy i have sparred with him also and he’s a real warrior. Magical Ray Elbe is here he’s a super talented pro fighter and has trained some of the best fighters in the world and every time I see him he always stops to ask how I’m doing He’s always quick with a compliment and is there when I need advice. I have made close friendships with so many talented people from all over the world I couldn’t mention them in one post. If i would have picked one of the other gyms I would have short changed myself i know that for a fact, and my experience here in Thailand would have failed miserable in comparison.